A couple of weeks ago I wrote that modular builders should consolidate their companies with other like-minded builders. At June’s Modular Home Builder breakfast I’m going to discuss this recommendation. Here’s an overview. Imagine that a new modular builder/dealer company called ABC, Inc. offers the services outlined below. If you’re a modular builder, ask yourself two questions. (1) How much would you benefit if your company were part of ABC? (2) How would your company fare if it had to compete against an ABC builder in your territory? ABC has a national website that appears on the first page of the search engines in your area. ABC also has a social media presence that is updated several times a day with rich content. Since 85% of all people interested in building a new home begin their shopping on the internet, ABC provides you with a wealth of leads. All of your ABC’s internet and phone leads are screened, qualified, and nurtured by a group of experienced “greeters” at the main office. These specialists engage the leads with the help of an advanced Customer Relationship Management (CRM) system. Greeters stay in regular contact with your leads using a series of targeted email templates and calls that are prompted by automatic reminders and guided by phone scripts. The greeters pass leads to your salespeople only when the leads are ready, willing, and able to take the next step. This enables your salespeople to stay motivated and focused on selling homes. Hundreds of ABC’s standard plans are drawn in Chief Architect. Each plan is drawn with multiple interior and exterior options and easily modified by your trained salespeople. Custom plans can be generated from templates that take into account modular design constraints. Neither your salesperson nor customer must wait for the manufacturer to draw the plans. The design program also creates site-built drawings, such as for garages, porches, decks, foundations, finished attics and basements, etc. All standard plans and thousands of options are priced in ABC’s custom CRM program. Because ABC’s modular pricing program is tied to its drawing program, it can automatically generate detailed modular specifications and itemized prices without your salesperson or customer waiting for the manufacturer. ABC’s contractor pricing program is integrated with its drawing and modular pricing programs so it can automatically create a detailed contracting scope of work with specifications. It also generates itemized prices for both labor and materials. ABC’s CRM system tracks all the details and to-do tasks for each customer so no one in your company has to remember what needs to be done or when. Planning and contractor shopping are faster and more accurate with ABC’s CRM system, since it generates plan-specific instructions and drawings for your set crew, as well as project scheduling for your button-up crew. These tools are given to homebuyers who want to complete their own turnkey, ensuring they know their responsibilities. ABC provides on-site classes and on-line webinars for sales and construction. It also provides manuals, videos, and podcasts of best practices for sales and construction and for contractor trouble shooting best practices. ABC’s CRM system has a built-in training and supervisory function to help your staff become proficient with using it. Each one of these improvements will individually help ABC’s builders. Together they will elevate every ABC builder above their competitors – both other modular and stick builders. I believe that such a package of services will allow ABC’s builders to lower their costs markedly, which will help them reliably beat stick builders’ prices. It will shorten the time from initial design to completion, increasing ABC’s builders’ advantage over stick builders. And it will provide ABC’s builders with better quality products as well as superior services, which will enhance their reputation. These improvements will enable ABC’s builders’ to grow their sales and profits considerably. However, if we modular builders stand pat and try to remain independent, we will find our market share under attack from bigger, better capitalized, and more state-of-the-art modular competitors. If we continue to market, sell, and build the same way we do now, and with the same relationship to our manufacturers that we now (more or less) enjoy, I don’t believe we will reach our full potential. We could continue to wait for a manufacturer to provide these services. But as I said in my presentation to the Modular Home Builders Association last fall, most builders have such a weak commitment to their manufacturers that manufacturers have little incentive to invest in these services. They also don’t appear to have the financial resources at this time to make the necessary investments. An alternative is for each builder to create some of these systems on their own. But as someone who has done this, I don’t recommend it because of cost and time. On the other hand, if several of us join together, we can afford to implement these improvements. In fact, because the expenses will be shared, we can continually build on them over time. Let me emphasize that these ideas don’t exclude a partnership with a manufacturer. In fact, our interests would be served best by a closer relationship with a manufacturer. This would enable us to integrate our builder systems with theirs, which would strengthen both of us. But unless this happens soon, I believe it is in our interest to move ahead on our own. Finally, several of the modular builders I spoke with over the last few weeks asked how I saw the consolidation happening. It’s too early for any of us to say whether the consolidation should be secured by a merger and acquisition roll-up, a franchise system, or some other arrangement. 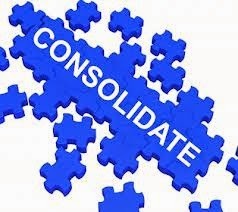 It will depend on what those of you who are interested prefer and how the consolidation is financed. If you would like to learn more about my ideas, please read my complete presentation and join me at Coach’s June Breakfast Meeting. In the meantime, please continue to email your thoughts and questions to me at andyg@the-homestore.com. This is an interesting article. I don't know if getting builders to sit down and talk frankly about our industry has ever been tried before. I'm wondering what the factories response to this idea will be. This is leadership. It matters not what the factories responses will be. If it's good for modular builders, and takes market share from stick builders, the modular factories will win by proxy. They can keep on pushing out floors at a low price while smarter builders control their own destiny through increased purchasing power and influence. I want to emphasize that Andy's goal here is not to usurp our individuality or company brand. We entrepreneurs will always have our personality in our home building businesses. Andy's ideas are about economies of scale and managing to our weaknesses. No more, no less. Interesting ideas. Depending on their perspective, this idea will either excite a manufacturer or scare the heck out of them.